Cherry Creek is about to get cooler. 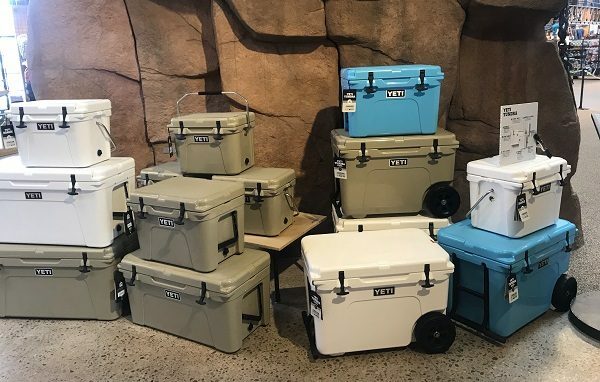 Austin, Texas-based Yeti, whose high-end coolers have attracted a cult following, has leased 4,825 square feet at 3033 E. 1st Ave., and plans to open a brick-and-mortar store there in the fourth quarter. Founded in 2006, Yeti — which declined to comment for this story — set out to make durable coolers that would keep contents cold for longer periods of time than other products on the market. The company’s coolers range in price from $200 to $1,300. The brand since has expanded to selling drinkware, chairs, buckets and other outdoor gear. Yeti’s products are sold online and by retailers, including locally at REI and Cabela’s. But the company moved into the brick-and-mortar space itself in 2017, when it opened a store in its hometown of Austin. The store has a shark hanging from its ceiling, a fishing skiff, a stage built from coolers and a bar serving alcoholic drinks, according to its website. In addition to Denver, Yeti also plans to open stores in Chicago and Charleston, South Carolina, according to media reports. Ferron Manwaring with M5 Realty Group represented Yeti with the lease. Stuart Zall, Kyle Framson and Stacey Glenn with The Zall Co. represented the landlord. The brand will join other outdoor companies in Cherry Creek, including Orvis, Arc’teryx and Marmot. Colorado is home to its own cooler makers, including Rovr, which started making wheeled coolers two years ago, as well as Joee, a startup making an accessory to keep food separate inside coolers. In addition, Fort Collins-based OtterBox also is making coolers rivaling Yeti’s.